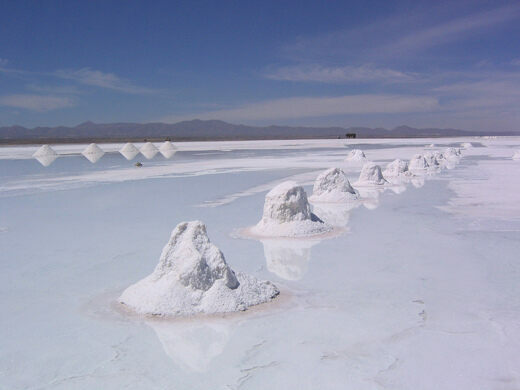 Spreading out over 11,000-sq.-km, Salar de Uyuni is the largest salt flat in the world. 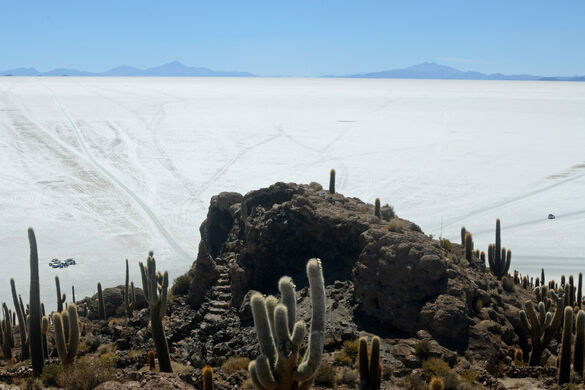 An endless sheet of hexagonal tiles (created by the crystalline nature of the salt), dotted with pyramids of salt, Bolivia’s salt flats are a dazzling display of nature’s magic. Despite the desert dryness, freezing night temperatures, and fierce desert sun, this landscape is not devoid of life. 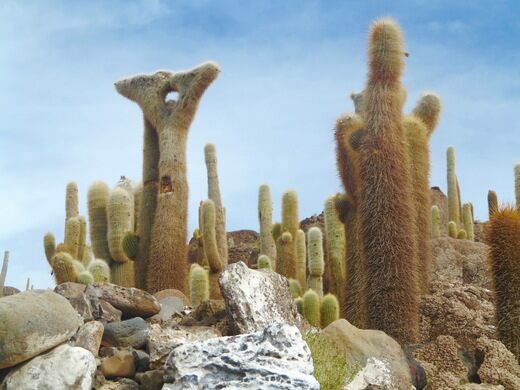 Pink flamingos, ancient cacti, and rare hummingbirds all live in the Salar de Uyuni. 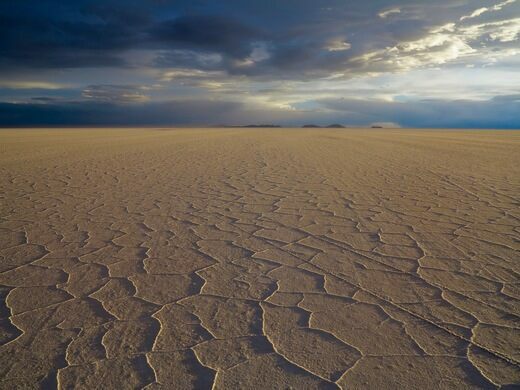 During the wet season, the salt desert is transformed into a enormous salt lake, albeit one that is only six to twenty inches deep, traversable by both boat and truck. During this time, the shallow salt lake perfectly mirrors the sky, creating bizarre illusions of infinity. In the middle of this seemingly infinite salty lake is a hotel built entirely out of—naturally—salt. Created from salt bricks held together with salt mortar, the hotel and everything inside it, including the chairs and tables, are made from salt. While the Hotel Playa Blanca has no electricity and little in the way of amenities (its water must be trucked in), it does offer even more important and certainly rarer qualities: utter silence, an all-encompassing austere beauty, and an astonishing view of the night sky. Also worth traveling to are the nearby Laguna Colorado and Laguna Verde. Laguna Colorado is a red-hued lake filled with thousands of pink flamingos, while Laguna Verde is a blue-green salt lake found at the foot of the volcano Licancabur. Its shifting aqua color is caused by copper sediments and microorganisms living within the lake. This hotel is located on the edge of the world's largest salt flat and is made out of the only material around. Mountain of unimaginable riches that bankrolled the Spanish Empire, complete with its own underworld god.